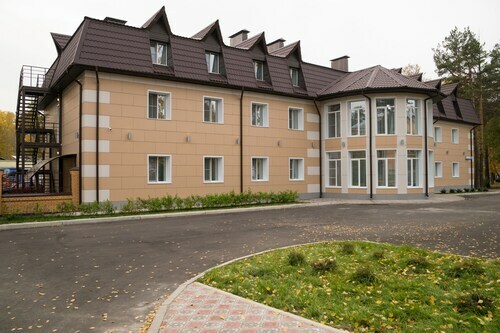 Situated in Angarsk, this inn is 0.9 mi (1.5 km) from Angarsk Clock Museum and within 32 mi (52 km) of Museum of the History of the East-Siberian Railway and Irkutsk Aviation Museum. Geological Museum and Irkutsk Regional Art Museum are also within 32 mi (52 km). 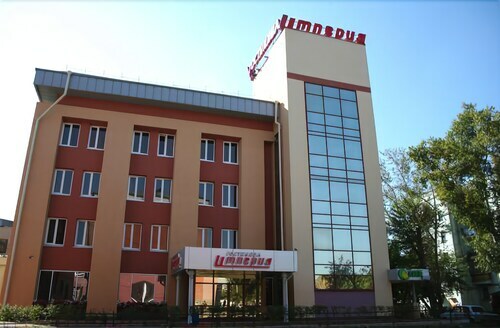 Situated in Angarsk, this hotel is 1.1 mi (1.8 km) from Angarsk Clock Museum and within 32 mi (52 km) of Irkutsk Aviation Museum and Museum of the History of the East-Siberian Railway. Geological Museum and The Church of the Saviour are also within 32 mi (52 km). Located in the heart of Irkutsk, this hotel is within a 15-minute walk of Kirov Square, Sukachev Fine Arts Museum, and Baikal Museum. Irkutsk Regional Museum of Local Lore is 0.9 mi (1.5 km) away. Irkutsk Station is 19 minutes by foot. 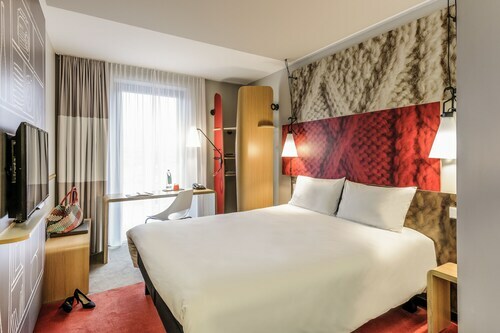 Located in the heart of Irkutsk, this hotel is within a 15-minute walk of Kirov Square, Tomb of the Unknown Soldier, and East Siberian Soil Science Museum. Roman Catholic Parish of the Assumption of the Virgin and Founder of Irkutsk Monument are also within 15 minutes. Irkutsk Station is 22 minutes by foot. 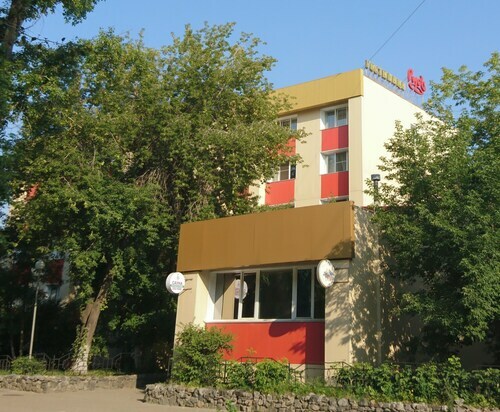 Situated in Irkutsk, this hotel is 2.9 mi (4.6 km) from Irkutsk Aviation Museum and within 6 mi (10 km) of Znamensky Monastery and Theophany of Christ Church. Founder of Irkutsk Monument and Tomb of the Unknown Soldier are also within 6 mi (10 km). Situated in Irkutsk, this hotel is within a 15-minute walk of Volkonsky House Museum and Aistenok Irkutsk Regional Puppet Theater. Holy Cross Cathedral and Irkutsk Musical Theater are also within 1 mi (2 km). 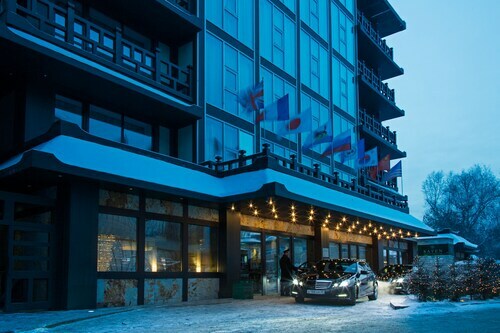 Located in the heart of Irkutsk, this hotel is steps from Holy Cross Cathedral and 130 Kvartal. Theater for Young Spectators and Irkutsk Musical Theater are also within 10 minutes. 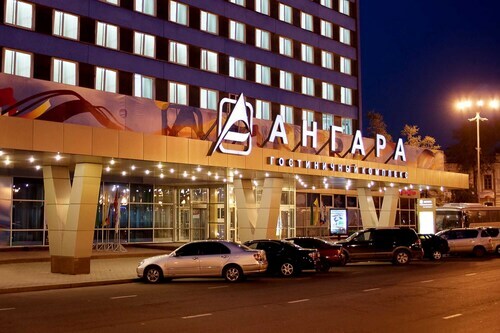 Situated in Irkutsk, this hotel is steps from East Siberian Soil Science Museum and Kirov Square. Roman Catholic Parish of the Assumption of the Virgin and Tomb of the Unknown Soldier are also within 10 minutes. Irkutsk Station is 30 minutes by foot. Located in the heart of Irkutsk, this spa hotel is within a 10-minute walk of Irkutsk Regional Museum of Local Lore, Okhlopkov Drama Theater, and Theater for Young Spectators. Baikal Museum and Sukachev Fine Arts Museum are also within 10 minutes. Located in the heart of Irkutsk, this hotel is steps from Irkutsk Regional Art Museum, Sukachev Fine Arts Museum, and Baikal Museum. 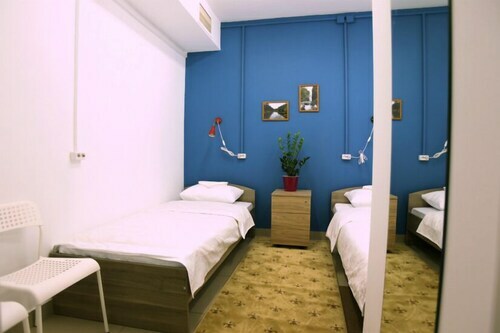 Situated in Irkutsk, this hostel is within 2 mi (3 km) of Museum of the History of the East-Siberian Railway, Geological Museum, and Kirov Square. The Church of the Saviour and Irkutsk Regional Art Museum are also within 2 mi (3 km). Irkutsk Station is 17 minutes by foot. Situated in Irkutsk, this hostel is within a 10-minute walk of Geological Museum and Museum of the History of the East-Siberian Railway. Mineralogical Museum of Irkutsk State Technical University and Irkutsk State Technical University History Museum are also within 2 mi (3 km). Irkutsk Station is 7 minutes by foot. A visit to Angarsk Clock Museum is one great way to use up some of your travel time. In order to experience it, you'll need to head to Angarsk, 2,600 miles (4,184 kilometers) from Moscow, the country's capital city. 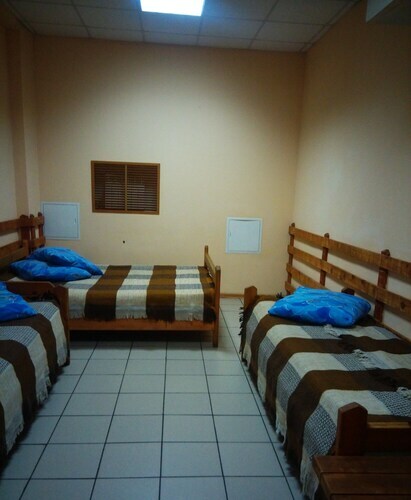 Don't stress if you don't find any accommodations in the immediate vicinity. There are quite a few in the surrounding area. 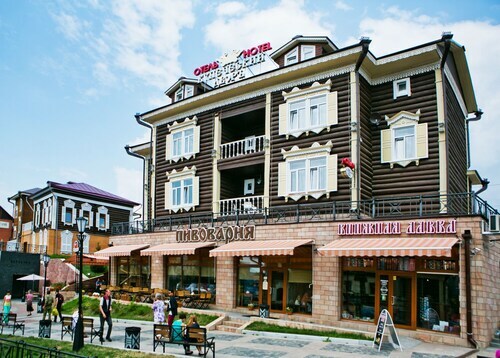 With as many as 9 places to stay that are 25 miles (40 kilometers) away, you surely won't mind the short commute to Irkutsk. Look into a booking at the International Hotel Sayen, Courtyard by Marriott Irkutsk City Center and Angara Hotel. In need of a coffee, a sweet treat or both to get ready for your next journey? Dadong is an appealing place to savor a snack and it's not far from Angarsk Clock Museum. If it's a slightly bigger meal you're looking for, try Sabvey, a nearby venue that's patronized by locals and travelers alike. Any traveler who is partial to a drink should also pay a visit to Hops & Malt, draft beer shop, one more short stroll away. You might be fanatical about aircraft, or you might just enjoy the speed and convenience of jetting off to somewhere new and exciting. No matter what your thoughts are about the art of flight, visitors of all ages will be fascinated by Irkutsk Aviation Museum. Wander around and take in what's being exhibited at Sayansk Picture Gallery. Learning more about the history of an area at Irkutsk Town History Museum can make you feel more understanding of the land and its citizens during your getaway. Hop on a train at the closest station, Angarsk railway station, after exploring Angarsk Clock Museum. It's an easy 1 mile (2 kilometers) away! How Much is a Hotel Room in Angarsk Clock Museum? Hotels in Angarsk Clock Museum start at $12 per night. Prices and availability subject to change. Additional terms may apply.